Yesterday I commented that John and I spent some wonderful quality time together 1 to 1 when my CA FAMILY was visiting me last week. He took some distance photos for you so you could see my paddock. In this one, I am on the far right. 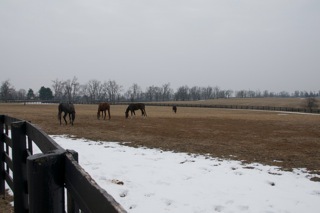 As you can see, we have a wonderful, large paddock to run and play in together. It is very spacious and located in a place on the farm where we can see everything going on around us. The view is absolutely spectacular. As you know, I love to stand and look at my surroundings for hours at a time…just like I would do when I was out grazing at Barn 55. So this is very pleasing for me! I can see everything…everywhere! I feel like I am at a beautiful resort! Then my dear John took some photos of ME. He simply can’t resist checking me out and feeling my legs…as he has done for years every single morning. I was a great sport…and let him do it. He really thought I looked fabulous and very healthy. Even though I’ve gained some weight while here…John thought I was ‘wearing it beautifully’. As always, he was full of many wonderful compliments for me! JOHN sure knows how to make ME feel special. I loved seeing him again! My dear John did note, though, that I had a bit of a scratch on my one hip. I’m fine…just playing around in the field with my friends. It is all just part of having FUN! I do enjoy all of my free time and running free. It is a very special time for me in my life now! I feel so fortunate in so many ways! Well, only a few more hours until GAME TIME for MY JETS! I want to be right up-front and watching when they KICK OFF! Oh, I do love my SPORTS! Dottie was telling John and I this morning that I was on ESPN. They were doing a segment on different achievements in different sports…and I was mentioned for my 19 for 20 record! Too cute! 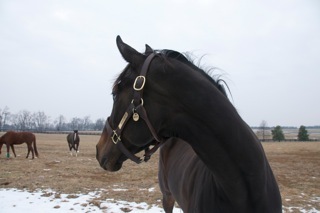 Zenyatta you are such a sweet and beautiful girl. I never get tired of watching your videos and I hope to see a DVd for sale soon. Thank you to John and Dottie for taking the time to share the photos and write the diary posts. We appreciate it. It is just me, or does Zenyatta look like THE QUEEN holding court in these pics? The other horses are also special, though, in their own way and I’d love to know more about them, without invading their privacy, of course! J SMITH: Yes, would be interested in coordinating w/you. I’m meeting friends there at the Paul Revere statue, I believe, as a rendevous point before heading to the Clubhouse area out of the Sun! @Jan Doyle–Thanks for note on Azeri. Through other comments here I understand that she, Ginger Punch and Dubai Majesty are at Northern Farm in Japan. Found a beautiful web site but no info on the horses and no email address. Will have to write to Japan. 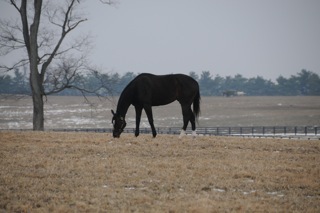 So HAPPY that based on all the beautiful pictures, videos and diary entries we have been privileged to receive, we can be confident that Zenyatta will always stay here. Thanks to her family (old and new) for sharing her with us. Hugs and love to all, Suzanne G.
Gorgeous Queen of Kings……How wonderful that Dottie is giving us all this wonderful info, thru you of course. Dottie, your words are fabulous, and love reading about our LADY as if she was your/our kid. I love it. I was so happy to see that you and your friends have such a large paddock to graze and play in. I’m glad you are enjoying your new life so very much. You look great! Don’t gain too much weight though. I’m glad that John still checks you over when he visits. He and Dottie are such Dears – keeping us posted on the latest news and photos of you. I’m anxiously awaiting the news of who will be your first date. I hope he is one of those kind and gentle stallions. I agree with Mike Smith – there is no stallion worthy of you, but we do want to see your magnificence passed on into perpetuity. I’m sorry the Jets lost, they needed you on their team! You would have covered the ground to their goal post in a flash. LOL! Well my Love, I’ll say adios for now. I’m glad you’re having so much fun with your friends, Zenyatta. I wish I was there to have fun with you. You don’t know how fortunate you are. I’ll bet you are enjoying all the views. Land’s End does sound like a resort. Who is the leader of your herd?